The head of the local United Way says there’s good news for low-income families in the provincial Liberal government’s Long-Term Energy Plan. 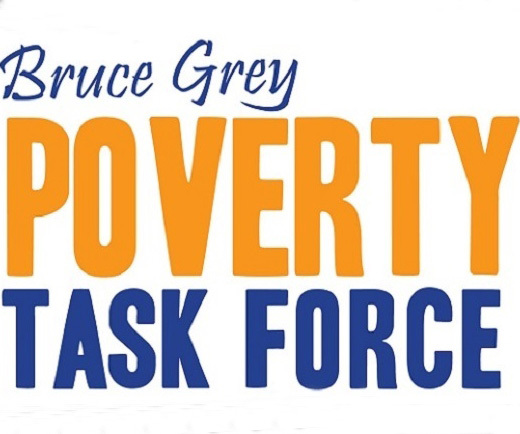 The Bruce Grey Poverty Task Force also submitted suggestions for the energy blueprint in October 2016. Denis Langlois of the Sun Times Owen Sound wrote the following article on Friday, October 27th regarding the release of the Long-Term Energy Plan. The document reconfirms measures in Ontario’s Fair Hydro Plan – which reduced residential electricity bills by 25 per cent on average this summer – including the promise to hold any increases to the rate of inflation for four years. “That’s really good. It means that families can budget, they’re not going to see big jumps,” Francesca Dobbyn, executive director of the United Way of Bruce Grey, said in an interview. Dobbyn said she was invited by the Ministry of Energy to the launch of the Long-Term Energy Plan in Toronto because of the work the local United Way has done in the past to assist the province with its efforts to make electricity more affordable. Dobbyn said one of the plan’s most significant new initiatives – which the United Way advocated for – is the one that will enable the Ontario Energy Board to both increase its oversight of sub-metering companies, which meter and send bills to residents in multi-residential buildings for the energy they consume, and bring in new consumer protection measures. About 326,000 apartment and condominium units in Ontario use sub-meters, also known as suite meters, and Dobbyn said the new oversight will be especially beneficial to low-income residents that reside in those units. “This is really important for us because we have suite meters in Owen Sound for sure, the 28th Street apartments for example, where tenants pay their own hydro bills. And the OEB right now only has control to the meter to the building, they don’t have any regulations about what happens inside the building. So we have companies that charge $25 a month if you haven’t paid off the previous bill in terms of a fee for carrying a balance, which is really hard on low-income people,” she said. As a result of the Fair Hydro Plan, the updated Long-Term Energy Plan says electricity prices are forecast to remain below the level projected in the previous energy blueprint from 2013. For example, the province says, the previous plan forecast that typical residential monthly electricity bills would reach $200 in 2027, but the new plan projects the cost to be about $19 less. The plan also says electricity rates will rise gradually, by an average of about five per cent annually from 2021 to 2027. “The significance of that, again, is the predictability of it,” Dobbyn said. The Long-Term Energy Plan includes several initiatives that the province says will assist with its commitment to avoid sharp increases in electricity costs. They include a promise to maximize the use of Ontario’s existing energy assets and only securing new power when it’s needed. Bruce Power says the plan reiterates the importance of its life-extension program, which will see the site near Tiverton provide “low-cost, carbon-free and reliable electricity” through 2064. In a statement, Mike Rencheck, Bruce Power’s president and CEO, said it is important to have stable government policy in place so Bruce Power can make long-term investments to secure low-cost electricity for families and businesses. Bruce Power says the plan also recognizes the electricity company’s other attributes, including its production of medical isotopes. Bruce Power says its investment programs and operations create and sustain 22,000 jobs directly and indirectly each year, while injecting $4 billion into the economy annually. Ontario PC Leader Patrick Brown, in a statement about the Long-Term Energy Plan, said “despite Liberal spin,” electricity rates will continue to skyrocket to the highest they’ve ever been after next year’s provincial election. He also mentioned a special report by Ontario’s auditor general, which said the provincial government created “an unnecessary, complex financing structure to keep the true financial impact of most of its 25 per cent electricity-rate reduction off the province’s books.” The report said the Fair Hydro Plan could cost Ontarians up to $4 billion more than necessary in interest costs over the next 30 years. Brown said: “The Wynne Liberals are untrustworthy, especially when it comes to Ontarians’ electricity bills. Every single time they’ve played games with the electricity sector it has left families working harder, paying more, and getting less.